 EUROPEAN AGENDA – PM Viorica Dancila is today presenting the priorities of the Romanian Presidency of the Council of the European Union, in a plenary session of the Romanian Parliament. Of the files to be managed by Romania, Brexit is a very important one, and the Romanian PM has repeatedly said that Bucharest is interested in protecting the rights of the Romanian citizens working in Great Britain after the UK leaves the community bloc. The future budget of the EU is another delicate file, and PM Viorica Dăncilă is intent on taking huge steps forward towards building this budget, the more so as in the future, too, it will have to finance importance common European policies, such as the agricultural and cohesion ones. According to a press release issued by the Romanian Government, the PM and the members of her cabinet on Monday attended an official dinner in Strasbourg, offered by the President of the European Parliament, Antonio Tajani. Also on Monday, the minister delegate for European Affairs, George Ciamba, had a meeting in Strasbourg with the Vice-President of the European Parliament, Sylvie Guillaume. The minister delegate has reiterated Romania’s commitment to work closely with the EP, during its 6-month tenure, in an effort to get positive and concrete results for the European citizens. SCHENGEN ACCESSION – “If Romania wants to be part of the Schengen area, it should meet some criteria, but Slovenia considers that all states should meet the same criteria. I really want Romania to be part of this area”, the President of Slovenia, Borut Pahor, has today said in a meeting with the President of Romania, Klaus Iohannis. President Iohannis has said Romania’s Schengen accession is impossible without consensus. He has underlined that his country should make some progress to convince some states that it is ready to join the free movement area. Romania’s Schengen accession was scheduled for March 2011, but it has been repeated postponed, on grounds related to the field of justice. NATO MILITARY COMMITTEE – The Chief of Staff of the Romanian Army, general Nicolae Ciucă, is attending today and tomorrow the 180th NATO Military Committee in Chiefs of Defense Session, held in Brussels. The agenda of the meeting includes military issues of topical interest regarding NATO’s present and future strategic challenges, NATO’s military strategy, the Resolute Support Mission (RSM) in Afghanistan, seeking reconciliation and peace for Afghanistan, and involving assistance, conciliation and the training of Afghan national defence and security forces, and of Afghan institutions, as well as the regional security situation. Talks will also include issues related to the development of capabilities funded by common funds, the NATO – Georgia partnership, as well as the security situation in the Western Balkans and the Kosovo Force mission. NATIONAL CULTURE DAY – The National Culture Day is celebrated today, on the birthday of the national poet of the Romanians, Mihai Eminescu, for the ninth year in a row. A host of events are organised on this occasion both in Romania and in the European capital cities. A festive session is held at the Romanian Athenaeum in Bucharest. On this occasion, the Romanian Academy launches the app “Mihai Eminescu, complete works”, which is available free of charge on smart-phones. The National Culture Day is also celebrated in the neighbouring Republic of Moldova, a former Soviet state with a predominantly Romanian speaking population as well as in the Romanian communities abroad. MARCH – Thousands of Poles marched in the streets of Warsaw on Monday evening, protesting against hatred and violence, after the death of mayor of Gdańsk, Paweł Adamowicz, who was stabbed on Sunday evening. Similar events were held in several cities and towns across Poland. The authorities in Warsaw have decreed three days of mourning in memory of the mayor of Gdańsk. Paweł Adamowicz, 53, died on Monday in hospital, after having been stabbed by a former convict, during a charity concert. The attacker, arrested on the spot by policemen is a former convict released from prison in late 2018. TENNIS- No.1 WTA Romanian Simona Halep has defeated Kaia Kanepi of Estonia in three sets,6-7, 6-4, 6-2, today in Melbourne, in the first round of the Australian Open, the first Grand Slam tournament of the year. Also today, Mihaela Buzărnescu, 25th seed, has been defeated by the US player Venus Williams in three sets, 6-7, 7-6, 6-2. Another Romanian, Ana Bogdan has lost to Poland's Iga Swiatek, also in three sets, 3-6, 6-3, 4-6. In the men's competition, Romanian tennis player Marius Copil has qualified for the second round of the Australian Open, after having defeated Spaniard Marcel Granollers in three sets,6-3, 6-4, 6-4. He will meet in the second round Belgian David Goffin. CURRENCY - The Romanian national currency, the leu, has today reached a record low as against the European single currency, the Euro. According to the exchange rate set by the National Bank of Romania, 1 Euro stands at 4.6822. The leu has also lost ground against the USD, 1 dollar being traded for 4.0973 lei.